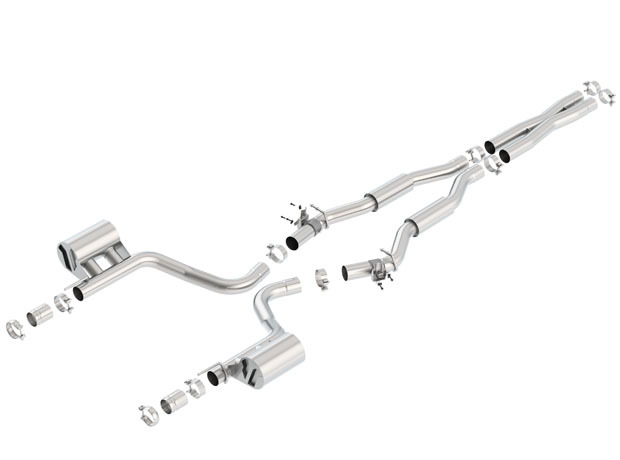 2015+ Dodge Challenger Hellcat Borla Exhaust Systems released! Borla’s newly released exhaust systems come in two variations, the S-Type and the ATAK. Both of these systems use 3” piping, single split rear exit, and retains the use of the factory valance. The S-Type combines packing filament, straight-through core dimensions, perforation patter and cylindrical shape to deliver the Borla “Sound of Power”. Posted in Uncategorized and tagged borla, challenger, dodge, exhaust, hellcat.